Good point, Betty. Well said. We do take people for granted. Another beautifully worded post. Where DOES all that talent come from?!? You never fail to find and share life's lessons in the everyday things. I love your analogies. Thank you for the beautifully written post. Living far away from loved ones has definitely reminded me, yet again, how much I take advantage of them when I'm living around them. It's good to have these reminders occasionally. 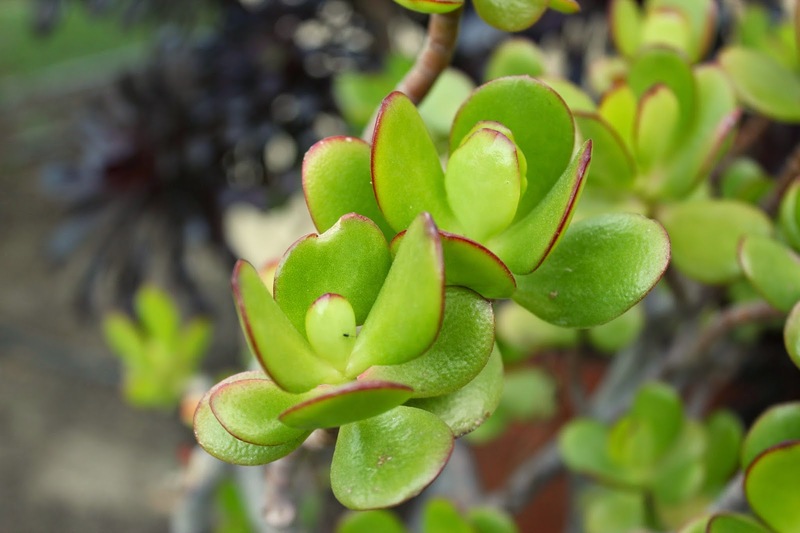 Wonderful message Betty in making the connection to the jade plant with those overlooked in our lives. There are certainly those here who have stood by me and I have neglected. Where my kids are concerned, I think I feel much like your neglected jade plant. I'm sure my hubby feels much the same where I'm concerned. He's my rock and my hero and I don't show him nearly enough just how much he means to me. Awww beautiful BB!!! You are wise and wonderful! I know jade plants are sometimes known as "friendship plants" and I never knew why but this post totally explains it beautifully! Thank you!! Funny, I expected you to write about how you had neglected your own nourishment, since you were so focused on job and family! And now, after being forced to focus on yourself, you too are flourishing. Beautiful post, my friend. I have a plant from my fathers wake and funeral in our family room (11 years ago). Just an indoor house plant of some kind - it is often the last on my list for caring for. I'm looking at it now, imagining all that it has seen in it's life. Time to give it some love. :) hugs, my friend. Excellent point. it's easy to forget the ones who don't fuss. Wise, wise words Betty. Thanks for reminding me. Wonderful post, Betty, and so true. Hope you have a lovely Easter weekend! Hi Betty - Happy Easter .. and yes it's all those little things helping others or thanking them, remembering them .. a few minutes means wonders. Have a lovely weekend and I'm sure your sons will call - sure hope so!! 1) I thought of those I have neglected, and why I thought it was ok to do so. I wasn't ok, but I thought it was because they were still alive and I was busy. 2) I had new understanding of what I know is going on with my own children when they don't call. I know they think it is ok. It is, but I sure would blossom if they realized they need to call more than they do. I loved reading this. So interesting. Gives me a lot to think about.